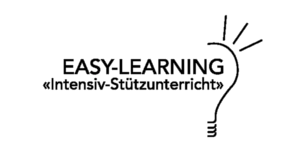 Easy-kid-care supports your family or your company with very high-quality care provision in Egerkingen and Olten. Easy-kid-care is a day-care nursery with top-class standards, special early learning programmes and bilingual care in English and German. Children between the ages of 3 months and 6 years are encouraged individually in their physical, mental and social personality, while being lovingly cared for. … enables parents to continue pursuing their professional goals without having to do without their families. … in the first instance serves the needs of the child, who receives excellent opportunities to begin his learning career by means of optimum framework conditions and early learning according to a specially conceived educational programme, easy early steps©. We offer you the best possible flexibility thanks to our flexible opening hours.